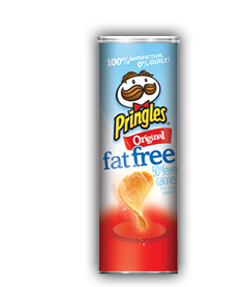 A Nose Plunge Test revealed much the same aroma as we found with Pringles Original. It was a sort of odorless yet potato smelling experience. A snack of this type without any fat seems a little scary, but we went with it and the flavor replicated the theory - it too, was somewhat lacking in taste and flavor.